Days after buying Adventure Sports Network and entering the action sports industry, American Media is sure making headlines. And not for the right reasons. Amazon Founder Jeff Bezos Thursday accused American Media, the new owner of industry publications such as Surfer, Snowboarder and Transworld Skate, of trying to blackmail him. The story starts this way. 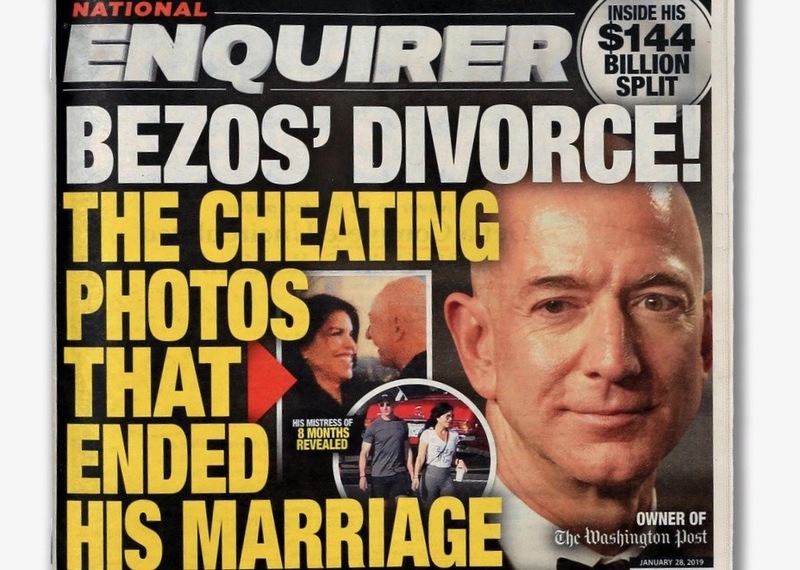 The National Enquirer, owned by American Media, published an 11-page report on Bezos’ affair with Lauren Sanchez in January. The tabloid has been following the two for an extended period of time and published photos of them in various locations. Tech titans are the not the usual subject of tabloid reporting, and given the National Enquirer’s ties to Donald Trump, who is friends with its chief David Pecker, national media began exploring if there were political motivations behind the coverage. The Washington Post, owned by Bezos, was one publication that explored that theory. The Post and Bezos have been a frequent target of President Trump because of the paper’s aggressive reporting on the Russia investigation. American Media than offered Bezos a deal, which Bezos described as blackmail. They demanded Bezos publicly state that the National Enquirer’s coverage of his affair was not politically motivated. If he didn’t, the National Enquirer would publish graphic photos that Bezos and his lover had shared with each other. “..In the interests of expediting this situation, and with The Washington Post poised to publish unsubstantiated rumors of The National Enquirer’s initial report, I wanted to describe to you the photos obtained during our newsgathering. A full-length scantily clad body shot with short trunks. In addition to accusing American Media of blackmail, Bezos also suggested American Media has shady arrangements with Saudi Arabia. American Media, The National Enquirer and Pecker are no strangers to the spotlight. They have been caught up in investigations into Trump’s campaign and the hush money that was paid to two women who claim to have had affairs with Trump. Pecker and American Media cooperated with authorities and ended up avoiding prosecution, but agreed not to commit any crimes for three years. The new revelations could put them in a precarious position with federal prosecutors, according to The New York Times. American Media has denied wrongdoing in the Bezos affair and its board of directors has vowed to investigate the matter. It’s crazy to believe that this is the same company that just invested in the action sports industry and will be deciding the fate of publications like Surfer.